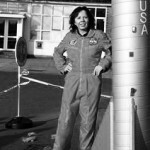 Helen is the Managing Director of Space Connections, a Community Interest Company based in Bradford that is dedicated to inspiring the next generation of scientists and engineers through exciting, innovative programmes working with local businesses and other partners. Space Connections co ordinate the annual Bradford Science Festival and the National youth rocketry challenge (UKAYRoC) where the winning team visit NASA. Whilst Creativity and Challenge are current’ buzz words’ in all areas of education and employment, do we really want to work and educate creative, challenging people? The Creativity Conundrum explores the opportunities and risks of nurturing creativity and atmosphere of safe challenge.